Looking for the best anti-inflammatory pain treatment option for you? Compare/contrast ingestible versus topical pain relief products. In a discussion about pain, it helps to know the medical definition of pain. Pain is defined as a bodily disorder caused by disease or injury. It occurs when naked nerve endings receive a noxious stimulus and it can to take the form of itching, pricking, throbbing, or a dull or sharp aching. Whether the underlying cause of the pain is injury, stress, illness or disease, the actual root of most pain and major diseases is inflammation. Inflammation creates a protein called Circulating Immune Complex (CIC) that manifests into the uncomfortable or sometimes unbearable feeling we know as pain. The pain caused by acute inflammation is felt when the body is busy healing itself, usually the byproduct of an injury or non life-threatening allergic reaction. Inflammation that is a result of inflammatory disorders such as arthritis, asthma, IBS, cancer, heart disease or auto-immune disorders like lupus, fibromyalgia or vasculitis, is considered to be chronic inflammation and carries with it more serious ramifications and often a greater severity of pain. The severity of the pain, along with the individual’s pain threshold, will determine how quickly they seek pain relief options. There are many different medications, treatments, and delivery systems to choose from when dealing with alleviating pain. Two of the most commonly used pain treatment options are divided by delivery method: ingested (orally) and topical. Nonsteroidal anti-inflammatory drugs, or NSAIDs, are typically available in tablet, capsule, or liquid form. They work by blocking the enzymes COX 1 and COX 2 in the brain. These enzymes are what make prostaglandins, which in turn signals the C2 receptors and causes the inflammation. The dosage suggested or prescribed can depend on the person’s degree of the pain, as well as their age and the size. If used occasionally for a headache or minor injury, NSAIDS are relatively harmless for most people. Some side-effect may include stomach upset or a jittery feeling. Some individuals may have an allergic reaction. However, if used habitually or over time they could become harmful, even increasing the risk of stroke, heart attach and liver damage. 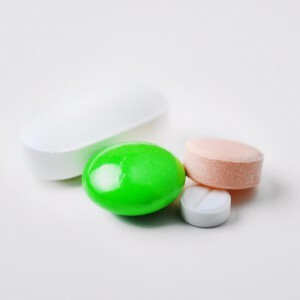 In fact, the FDA has issued multiple warnings about the risks of NSAIDs in the last 10 years. 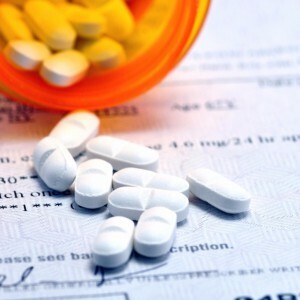 Narcotics are typically prescribed for serious conditions and noticeable to severe pain. They are also prescribed for injury or post-surgery. Narcotics are typically administered in tablet or liquid form. The painkillers work by binding the receptors in the brain and turning off the pain signal. Narcotics can be very effective, but carry with them several possible side-effects. A couple of the most common side-effects are nausea and drowsiness. An even bigger problem is that narcotics can become habit forming or addictive. Both medical marijuana and hemp have been found to reduce pain by reducing inflammation. Both contain CBD cannabinoids that signal the C2 receptors in the brain to regulate the hormones causing pain and inflammation. Marijuana is most often ingested through smoking, but can also be eaten and made into edibles. 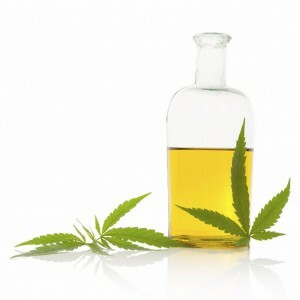 Oil from the cannabis and hemp plant can also be used tea or taken subliminally as a topical treatment. Topical treatments can be ideal for treating localized pain. These pain treatment products do not enter the blood stream, so there is not the concern of addiction like with narcotics nor NSAID side-effects. Additionally, a hemp-based cannabis treatment will not have the THC cannabinoids, thus eliminating the feeling of “getting high.” A topical anti inflammatory penetrates directly into the skin and work at the cellular level. The C2 receptors send a message to the DNA to produce a protein that reduces inflammation. Topical treatments, or a topical anti inflammatory, comes in creams, gels, oils and serums. There are topical NSAIDs that have the aspirin concentrated in cream form. When determining which pain relief treatment option is right for you, listen to your body. Topical treatment may be a good option if your pain is acute or chronic. Always discuss with a health care professional what the best pain management plan might be for you.